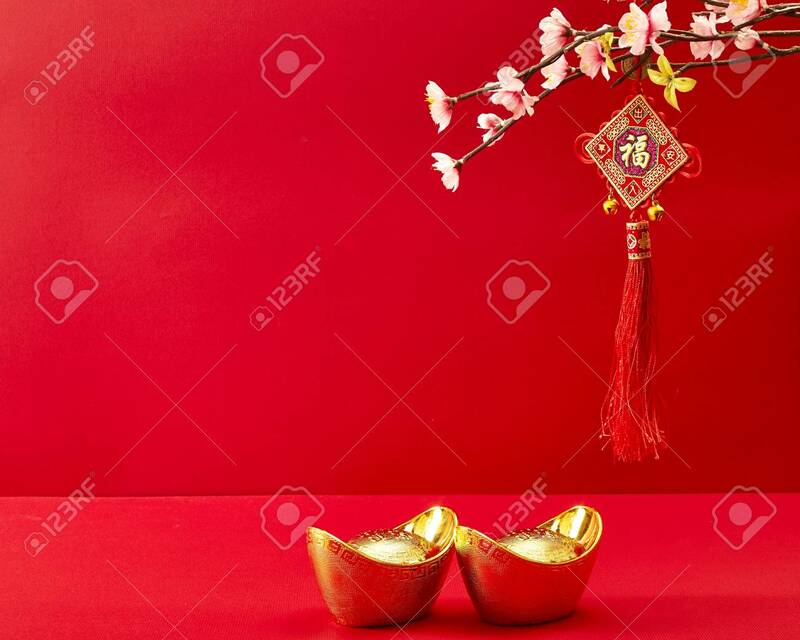 Chinese New Year Decoration On A Red Background Flowers Of Good Fortune And Lump Of Gold. Banco De Imagens Royalty Free, Ilustrações, Imagens E Banco De Imagens.. Image 69773087.